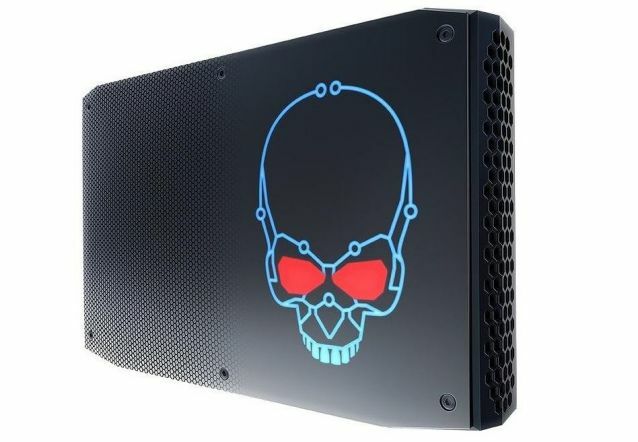 Today, Intel announced its new NUC with eighth-generation H-series processors, which also includes dedicated AMD Radeon graphics. There are two options, NUC8i7HVK and NUC8i7HNK. The Intel NUC8i7HNK features the Core i7-8705G, which is a 65W chip with the 931MHz AMD Radeon RX Vega M GL GPU. On the other hand, Intel NUC8i7HVK comes with the Core i7-8809G, a 100W unlocked processor with the 1,063MHz Radeon RX Vega M GH. 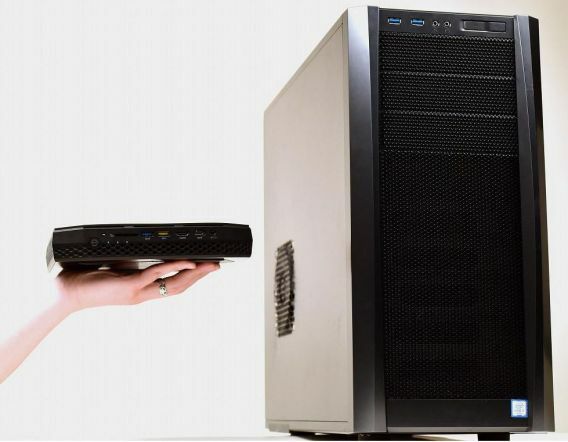 This is also the first NUC that’s VR-ready, so you can use it with your Windows Mixed Reality headset as well as the HTC Vive and Oculus Rift. In addition, the device features HDMI 2.0a ports on both the front and rear of the device, two Thunderbolt 3 ports, and a total of five USB 3.0 Type-A ports. There’s also a USB 3.1 Gen 2 port, which supports data transfer speeds of up to 10Gbps, and dual gigabit Ethernet ports. According to the company, you can power up to nine monitors. The new NUC will be available this spring, with the lower end model starting at $799, and the unlocked variant starting at $999.